In the near future the secrets of immortality have been unlocked. Yet not everyone can live forever, and as each day passes the price of immortality grows. Thrust into the workings of a brutal dystopia, two young people are left with no choice but to fight the terrifying Enclave government, who are bent on preserving their way of life. At any cost. This first book in the young adult dystopian series Uploaded, which offers an unflinching look at the terrible things we all must do to survive, is perfect for readers 13 and older. In the near future, the secrets of immortality have been unlocked. Those lucky enough to live forever reside behind the walls of the Enclave, like seventeen-year-old Xander, who on his next birthday is to be Uploaded into a new, indestructible body, never to age or die. Then there are those that live in the Outside, shrouded in the miserable shadow of the walled city. For Rachel, fighting to survive is a way of life, but trouble is brewing. 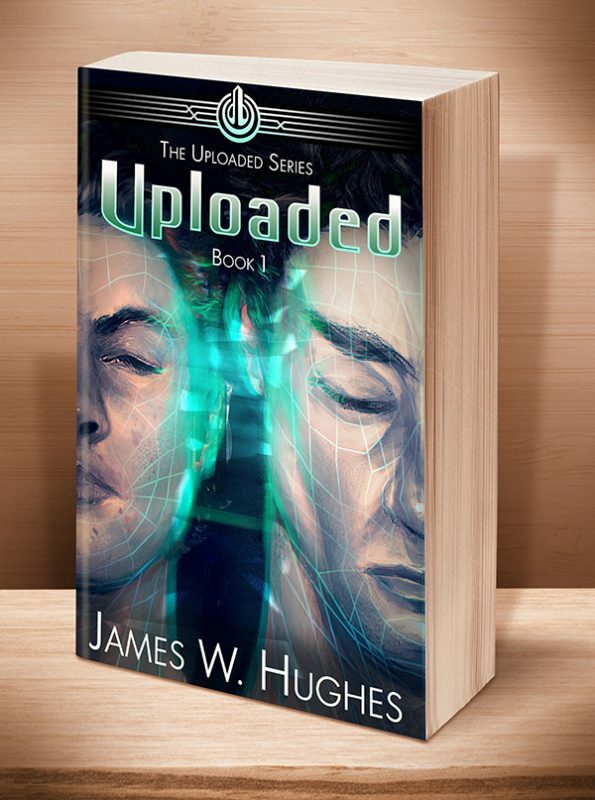 When the two paths cross, the secrets of Uploading begin to unravel. Not everyone can live forever, and as each day passes, the price of immortality grows. The clock ticks down, and Rachel and Xander are left with no choice but to fight the terrifying Enclave government, who will stop at nothing to preserve their way of life. This entry was posted	on Thursday, December 15th, 2016 at 6:42 am	and is filed under . You can follow any responses to this entry through the RSS 2.0 feed. Both comments and pings are currently closed.